Giving a bottle of wine as a gift is such a simple way to thank a hostess, celebrate a birthday, or commemorate a special event. 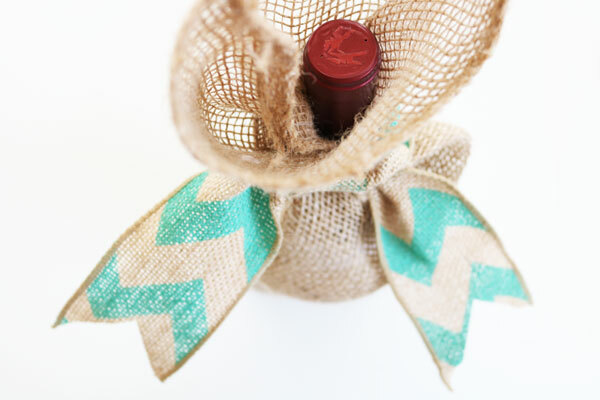 But if you’re gifting a bottle of wine, adding a little flair to the gift in the form of this simple burlap wine bag won’t go unnoticed! Burlap has such a great texture and look. 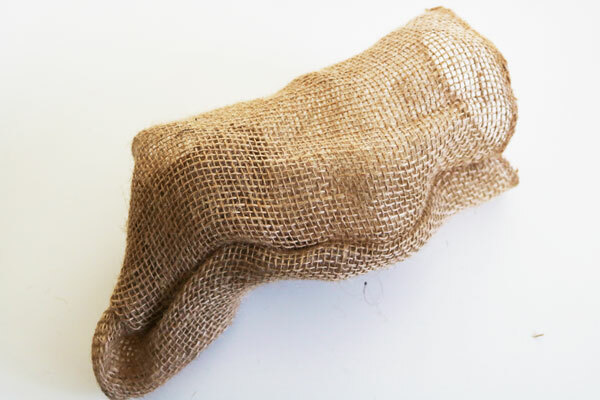 Somehow rustic burlap will pair equally well with a bargain bottle as it will a fine wine. 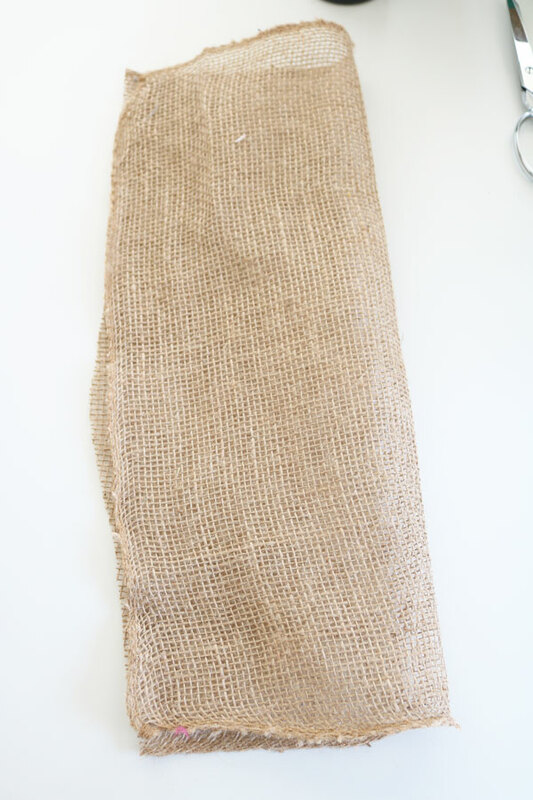 And, it takes just minutes to whip up this simple burlap wine bag! 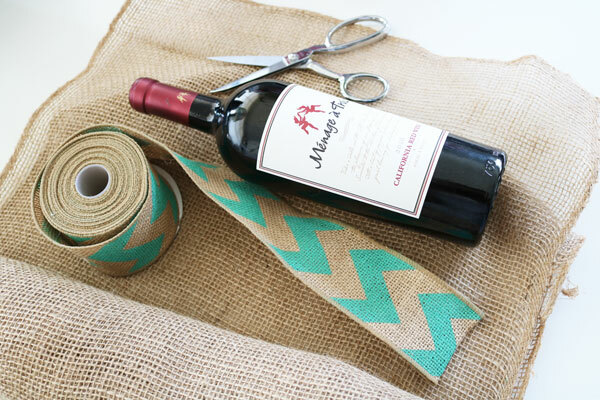 This 15 minute Burlap Wine Bag is part of Craft Lightning Week! All week long my friends Angie from the Country Chic Cottage and Beth from Beth Creates are sharing fast and fun crafts you can make with burlap – in 15 minutes or less! Be sure to come back all week long to check out the burlap crafts I’ll be sharing, and scroll down to the bottom of the page each time to find the fun burlap crafts that Angie, Beth, and our other friends are sharing this week! Fold the burlap over the bottle of wine. Cut it a couple inches longer than will reach all the way around the bottle. 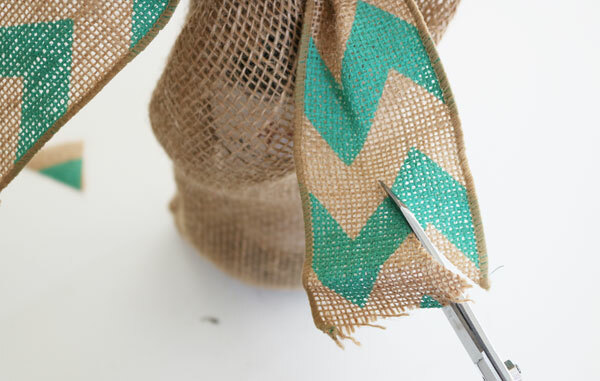 Remove the bottle of wine, fold the burlap in half. Stitch along the open side and open bottom of the bag. 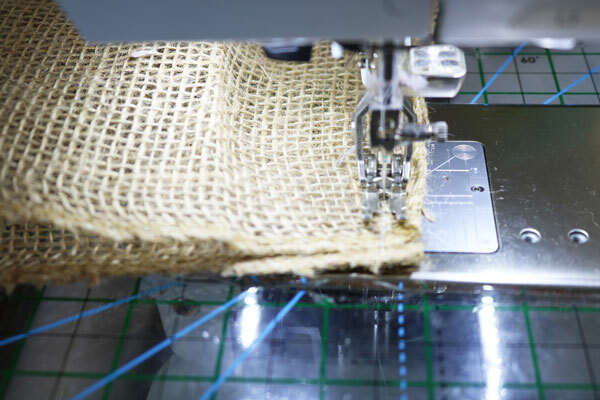 One long side doesn’t need to be stitched (it is the folded side), and one short side does not need to be stitched because it is the top of the bag. Insert the bottle of wine. Cut a piece of decorative burlap ribbon, and tie it around the neck of the bottle. Trim the ends. That is it! 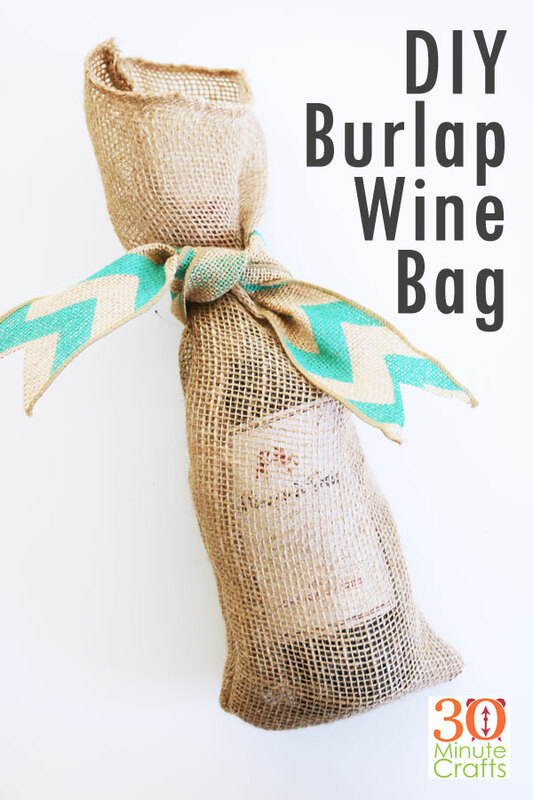 Your simple burlap wine bag is complete! These would make a great decoration on the table of a rustic wedding, you can whip up a few for a party, or you can make them to have on hand for gift giving. Switch out the burlap chevron ribbon for some Christmas ribbon, and you have a ready-to-go hostess gift for Christmas parties! 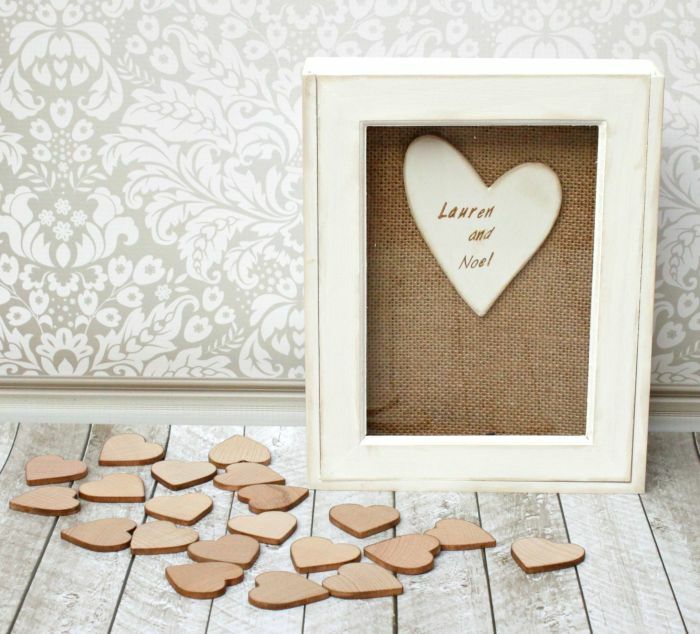 Morena over at Morena’s Corner has weddings on her mind with this great take on a guest book featuring burlap. 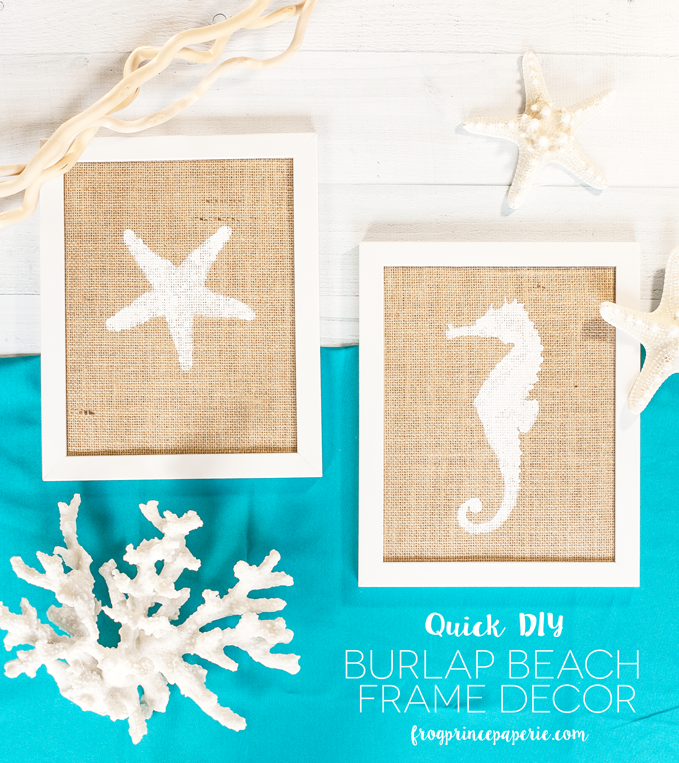 At Frog Prince Paperie, Paula has framed her burlap to make great beach décor! 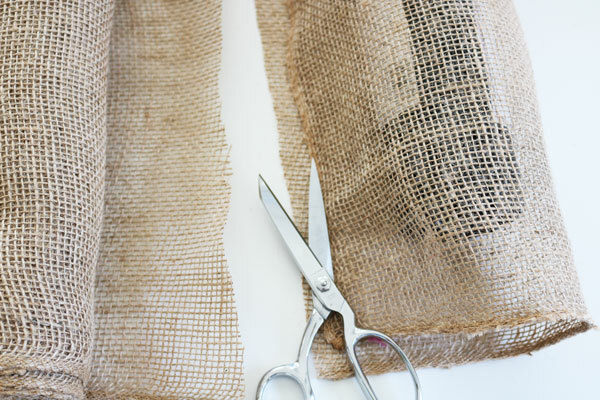 Be sure to come back tomorrow for more fun ideas for using burlap in fast crafts!